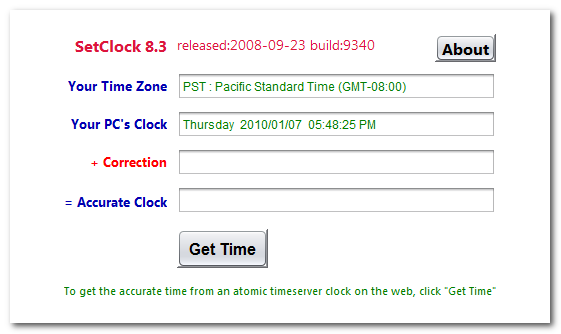 Set PC Clock from an accurate atomic clock on the web. You can put in on your website so that others can use it to correct their clocks without having to install software or without you having to install software on your server. Java Web Start signed. Requires Java version 1.5 or later. Native code for Windows only. Full Java source code included, and native C JNI code. TimeTools NTP Server Monitor is a free software utility that runs on any Windows platform, workstation or server. It allows any number of NTP time servers to be constantly monitored. Any servers that are operating outside of pre-set tolerances are highlighted. It can also, optionally, synchronise system time with the optimal time server reference.